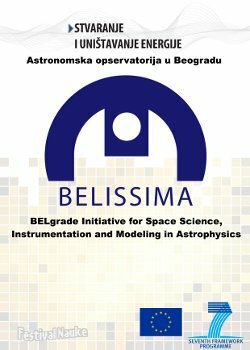 The BELISSIMA project has participated in the 4th Festival of Science held in Belgrade on 3, 4 and 5 December 2010. BELISSIMA presented an interactive exhibition dedicated to the problem of energy -- "Creation and destruction of energy" as well as a presentation about a bright meteor which exploded in the south of Serbia two weeks before the Festival. The trajectory of this meteor was studied by the collaborators of the BELISSIMA project. 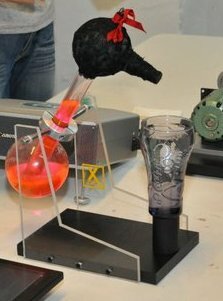 The goal of the exhibition about energy was to show that it is not possible to create energy out of nothing, although one model appeared to be a true perpetuum mobile (a drinking bird). 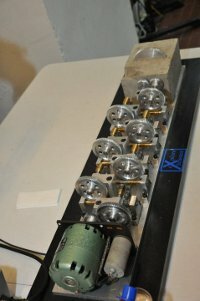 The other model showed the apparent destruction of energy using a system of gears in which some rotate very fast and some are standing still in the concrete while being coupled. The model showed, apart from the apparent destruction of energy, that it is possible to have in a restricted amount of space one part which rotates several times per second and the other one which performs a rotation in a couple of billion years. The detective story concerning a bright meteor showed to the visitors of the Festival how the researchers from the team of the BELISSIMA project worked in order to locate the position of the explosion of the meteor and their attempts to find the most probable zone of the fallen fragments. This interesting story was presented to the visitors with the help of the Meteor group from Petnica. By participating in the work of the Festival of Science the BELISSIMA project became an official partner of the Festival. 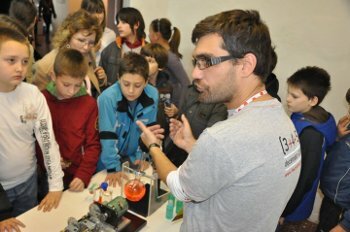 Nearly 20000 people visited the Festival of Science.